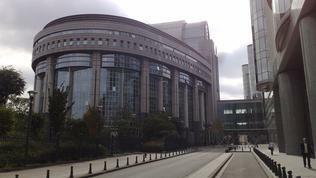 On January 17 the European Parliament will elect its new president. As the institution is big, with over 700 members, the election of a president is being done twice in a 5-year term - each with a mandate of two years and a half. 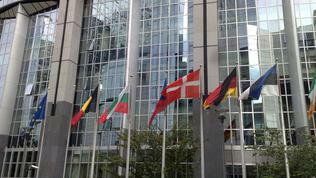 The Pole Jerzy Buzek, the first president from "new Europe", is already preparing to withdraw. 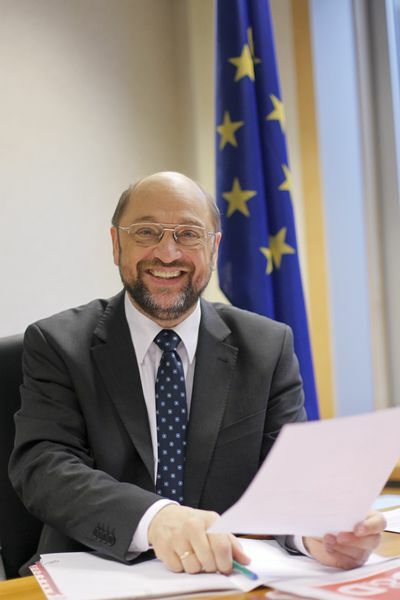 In Brussels, however, for quite some time is known unofficially, that his successor will be the well known and eloquent leader of the political group of socialists and democrats in the European Parliament, German MEP Martin Schulz. It is being talked about back room deals between the two biggest political groups in Parliament - the European People's Party and the socialists. 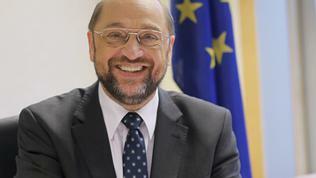 At the moment the candidates for the post are three - Martin Schulz, Diana Wallis (ALDE, Britain) and another Brit - Nirj Deva from the Group of European Conservatives and Reformists. A check up with past presidents of Parliament shows that six out of 13 were from the biggest [at the moment] parliamentary group - that of the European People's Party. Four were the presidents from the group of socialists and three were the representatives of the liberals. The role of the European Parliament is growing with every new treaty, but a real breakthrough has been achieved with the Lisbon Treaty, when the institution was granted important rights with which it can more or less block legislative processes. But what makes it particularly important, though, from a democratic perspective, is that only the European deputies are being elected directly by the European citizens. It is in the European Parliament that the most vivid debates take place on important issues from the European agenda, especially in the last 3 years, since Europe's economy has been marked by the crisis. An essential part of them you can see in this euinside subject. euinside has talked to Diana Wallis, a vice president of the Parliament and a candidate for the Presidency from the third largest group - Alliance of Liberals and Democrats for Europe (ALDE). The possibilities for putting up a candidacy are two - via a nomination from a political group or by collecting support of at least 40 members. It is the second procedure that Ms Wallis had chosen, because for her it is important the figure of the president to be as independent as possible. 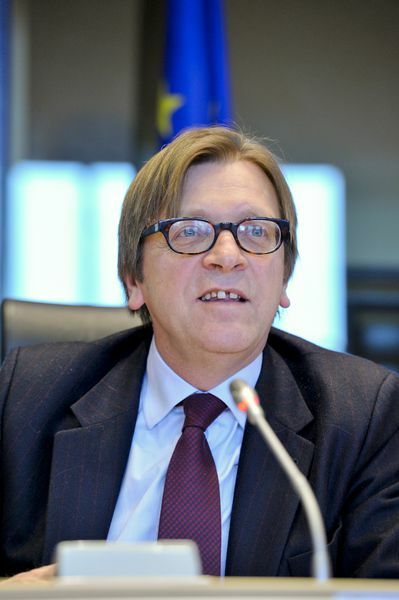 As the European Voice wrote, however, Wallis's candidacy is not supported by the leader of the group, the influential former premier of Belgium, Guy Verhofstadt, because providing a president reduces the influence of the group in the committees and ALDE are one of the most vocal MEPs on many of the issues related to the economic reforms of the EU and the developments in the euro area. 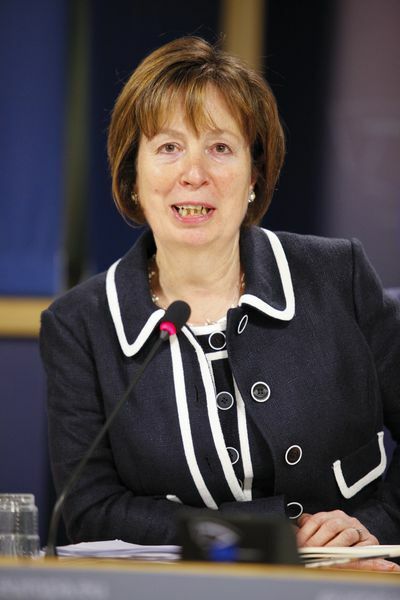 In an interview with euinside, though, Diana Wallis says that it is high time to put an end to internal political wrangling and to deepen instead the relationship with the European citizens. According to her, it is very important the European Parliament to work together with the national legislative bodies in the name of more transparency for the governments and executives. euinside: You are a candidate for the European Parliament Presidency and you already have chosen the procedure that is being collecting signatures instead of being nominated by a political group. What chances do you think you stand for being elected as President? Diana Wallis: I think it's a very important moment in the development of the Parliament and how the Parliament is viewed in Europe's public and I therefore thought it was important to make, as it were, a candidacy that is symbolic of that, that shows that here we have a president has support from people of all groups and none, and can bring people together, because up until now we seem to have had sort of back room deals when it [the Presidency] goes to one group and then another group and back again rather than having a proper discussion and democratic election, which would give us the chance to really examine how the Parliament functions both internally and externally towards Europe's citizens. So, really it's an attempt to widen the discussion internally and externally. And I've been really pleased by the support that I have seen growing for what I'm doing. 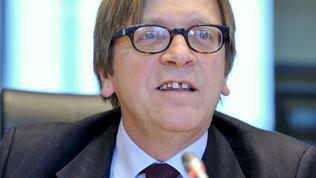 euinside: As far as I know there are not so many candidates like yourself for the Presidency, why do you think is that? Diana Wallis: Well, obviously these things tend to be done by and from the political groups, whereas I think you'll find it's the case in many parliaments around the world that the president or the speaker of Parliament is very much an independent post and that's what I'm trying to say that I think we should regard it more in this way than we have up until now. euinside: Do you have the support of your political group of the liberals? Diana Wallis: I have the support of a majority of individual members within that group. I have not sought to be sort of endorsed or whatever by my political group in that way. That's not how I wanted to do this. euinside: The European Parliament is gaining more and more essential role in the European Union right now, so this position obviously is very important, correct me if I'm wrong but maybe, there was no other woman beside Simone Veil, is that right, as president? Diana Wallis: We've had 13 presidents of the Parliament up until now and only two have been women - that's Simone Veil and Nicole Fontaine - so I think many of my colleagues, especially my female colleagues, but not just female colleagues, think that it's high time we did have another woman, you know women are 52% of the general population and even here in Parliament - 35% of members are women. So, I think it is another way in which the Presidency of Parliament could be more reflective of our society. 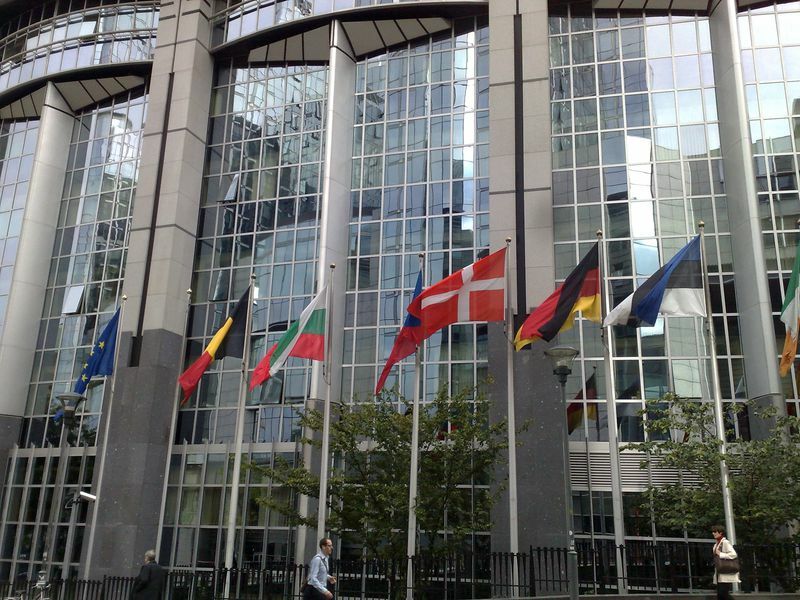 euinside: If you were elected as president, what would be your main priorities? 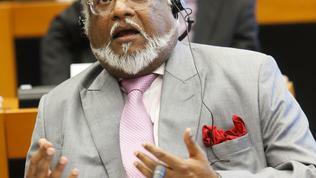 What would you focus on, especially at this very crucial moment for the European integration? Diana Wallis: This is a very crucial moment. 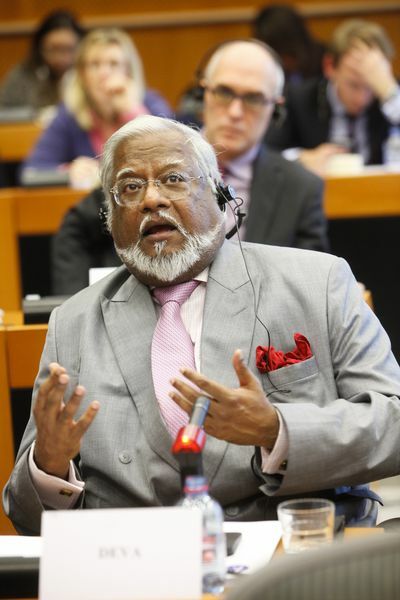 Clearly, I would have a focus to represent the Parliament strongly on an institutional basis but also the European Parliament cannot do things on its own. It needs to have at its side national parliamentarians and to have a really good working functioning relationship with national parliamentarians. And that is something I would want to build much more than we've managed to do up until now. All parliamentarians have a role, whatever to hold government and executive to account and I think we would do that better together with our national colleagues. We would be more effective. But also I feel very strongly that this Parliament now has to find a way to reach out and involve Europe's citizens much more in its work and I have ideas as to how we could begin to do that - perhaps by our committees, some of our policy committees, holding hearings or discussion moments in different member states. 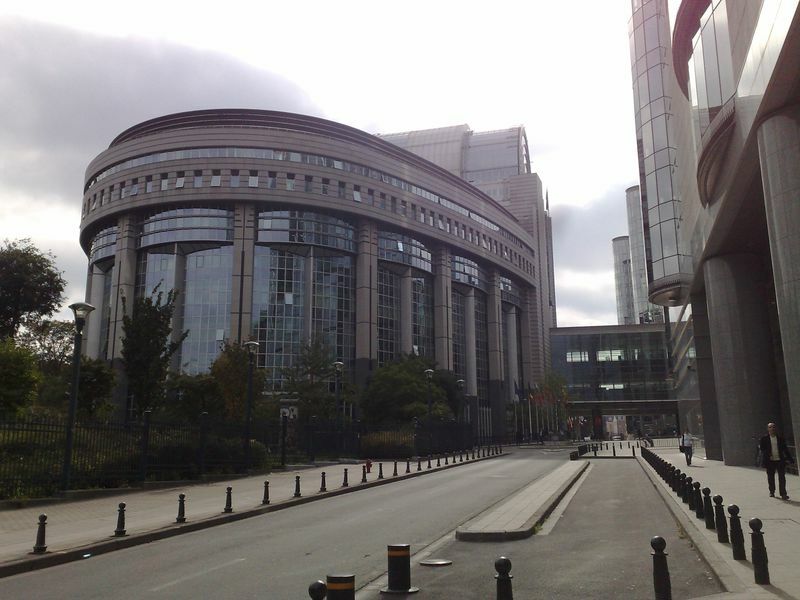 Not everybody can come to Brussels and see the European Parliament, so occasionally some of the working committees of the Parliament ought to go to the member states and engage. I think this would be a very powerful signal that people could see the work we are doing, see its importance and feel the chance to be involved. But we are also entering a really crucial stage for Europe's citizens in the sense that we have the European Citizens' Initiative coming into force at the beginning of April this year and also we're approaching the year 2013 which has been designated the Year of the European Citizen. The Parliament really ought to be a champion of these things and out there making a real connection and rebuilding in a way the European spirit from the ground up. euinside: Suppose you were elected as president, how would you feel being a British at the helm of the European Parliament at a time when Britain seems to be distancing itself further from the EU? Diana Wallis: Personally I would feel extremely proud and I think it would be a signal to my fellow countrymen and women that I am a very pro-European Brit - you know my grandmother was French, I did some of my university education in Switzerland, I practised in a law partnership for some years in Germany. I believe in Europe and I believe as my fellow countrymen and women saw that this is what you can do as a European British national. That would be a strong signal that Britain does have a clear place and a clear role in Europe. And I would also hope that I could act as a bridge to start to heal that relationship because my sense is that most other nationalities appreciate the British voice in Europe when it comes in the appropriate style - not with a hand bag attached. euinside: What do you think of the proposal of your fellow party and countryman Mr Andrew Duff for an electoral reform, an essential part of which is 25 MEP to be elected from a European-wide constituency? Diana Wallis: Look, I think it's an incredibly interesting idea and it's a sort of visionary idea but the only question mark I would have is are we ready for that at this moment. In a sense that I believe that our citizens need to feel a close contact with their elected representatives and at the moment that's what we really need to build up. And if we have people on a transnational list they are not so rooted in a community and in a group of electors and I think that's the relationship we really need at the moment to give confidence in a sense that this is something that we are all involved in together. So, I think it is a good idea for the future but I'm not sure if now is the moment. euinside: What do you think about the fiscal compact that is being drafted right now and in which the European Parliament almost doesn't have a role at all? Diana Wallis: I think it's potentially a sad moment for Europe because it goes back to a very sort of intergovernmental way of working. That's why I think it is crucial that Parliament and Commission continue to play a strong role at the table in those negotiations and do everything that we can to hold or to bring that agreement back into the European construct because I wouldn't want this agreement to become an example for others in the future. As I say, we need to build a positive feeling about Europe but the Parliament can't do it on its own, it needs to do it with others and it needs to do it from the ground up. 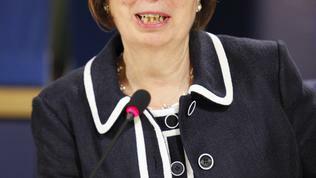 euinside: Thank you, Ms Wallis, once again for your time.